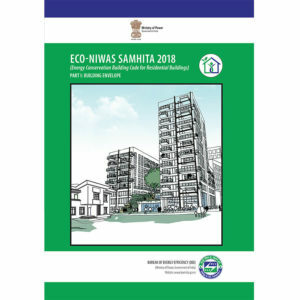 Given the pace at which building stock is growing in India, the Eco-Niwas Samhita for Building Envelope is a landmark policy ushering energy efficiency into the building sector, relevant for all contributors to the construction process. Read the details of the policy here. 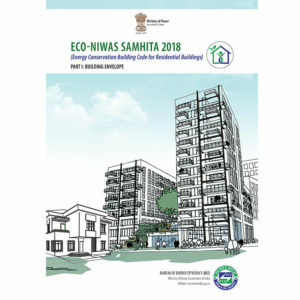 Eco-Niwas Samhita for Building Envelope is an important step towards ensuring that all new buildings being constructed in the sector are energy efficient. This video delves into the highlights of this simple Code and what each stakeholder needs to do to adhere to it. 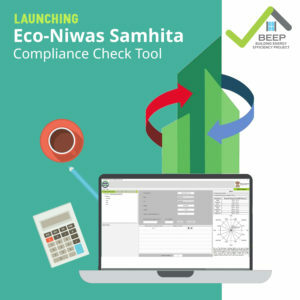 The Eco-Niwas Samhita is a residential code designed in an easy-to-use format, and requires only simple calculations based on inputs from architectural design drawings of the buildings. This online tool further aids in the calculations and compliance check. 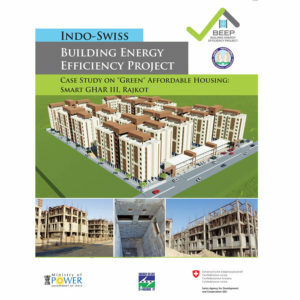 Given the pace at which building stock is growing in India, the Eco-Niwas Samhita is a landmark policy ushering energy efficiency into the building sector, relevant for all contributors to the construction process. Read the details of the code here. 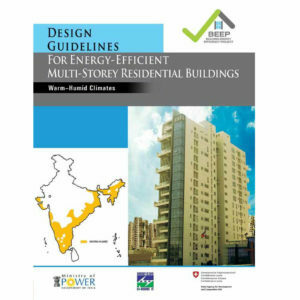 The design guideline provides 14 recommendations on energy-efficiency features for consideration at the design stage of multi-storey residential buildings. 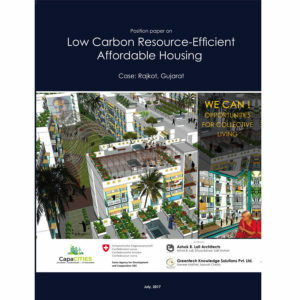 Mr Piyush Goyal, Honourable Minister of State (IC) for Power, Coal, New and Renewable Energy and Mines, launched this document in November 2016 at the BEEP International Conference on Energy Efficient Building Design. With the exponential rise in residential complexes being developed in the country, there is a need to ensure that these homes are thermally comfortable and energy efficient. Read on to understand the key factors that need to be considered while designing residential buildings. 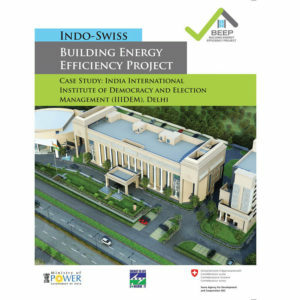 The position paper was developed under the capaCITIES programme of the Swiss Agency for Development and Cooperation (SDC) in India. As BEEP has been working in this area since 2011, it made a significant contribution in the development of this paper. 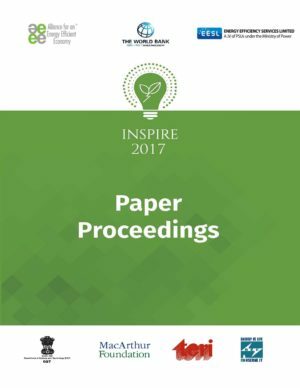 The paper is based on the experience of working with the public works departments (PWDs) and other state departments responsible for the construction of public buildings in Karnataka, Rajasthan, and Andhra Pradesh. 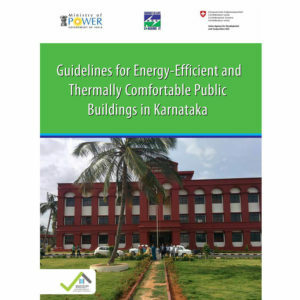 State PWDs and other similar government departments responsible for the construction of public buildings in the states have an important role not only in making the public buildings energy-efficient and thermally comfortable but also in the implementation of the Energy Conservation Building Code (ECBC). The paper presents the various approaches and lessons gained in this process, along with ideas for more effective engagement with the state PWDs to mainstream energy-efficient building design practices within the department. How much electricity does Indian commercial buildings consume? It is essential that there is measured performance data of buildings, to ensure that it is performing as expected during the design stage. Many factors contribute to energy consumption in a building. And many stakeholders are involved in the design and construction of a building. To design a high energy-performance and thermally comfortable building, all the factors must be considered; and all the stakeholders must be on-board. 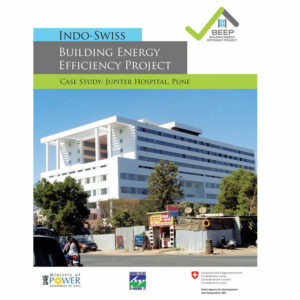 The integrated design charrette of BEEP is an interactive workshop, held over four days, which brings together the building design team and senior Swiss experts to develop the energy concept of a building during the early phase of building design. Learn more about the BEEP Integrated Design Charrette in this video. This paper is based on research on energy use in dwellings and energy modeling of typical spaces in dwellings. 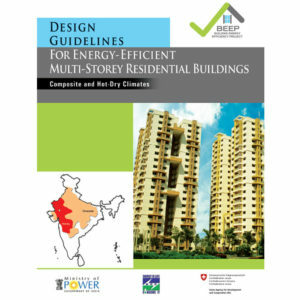 The paper presents key strategies for designing energy-efficient multi-storey residential buildings based on the results obtained by integrating energy-efficient envelope and ventilation strategies in sample bedrooms of three multi-storey residential projects: Indore (composite climate); Chennai (warm and humid climate); and Rajkot (composite climate). The experience from these three projects shows that a reduction in peak operative temperatures in the range of 4–7 °C is possible by implementing these strategies. Energy efficiency measures adopted in the building. Results of the building energy simulation during the building design. Methodology and results of the performance monitoring of the fully functional building for one-year period. The BEEP integrated design charrette is an interactive workshop, held over four days. 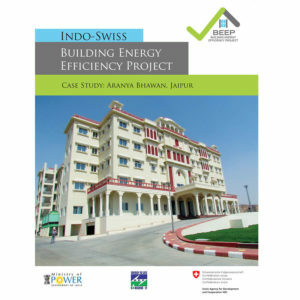 It brings together the building design team and senior Swiss experts to develop the energy concept of a building during the early phase of building design. Before we start using air-conditioners, fans, heaters, artificial lights, etc. to make our buildings comfortable and well-lit, we need to design our building and the building envelope to control comfort and daylight to the maximum extent possible. This is called passive design. Passive design takes climate into consideration and lessens our dependence on electricity and other fuels. A thermos flask preserves the temperature of hot or cold drinks by reducing the heat loss or heat gain. 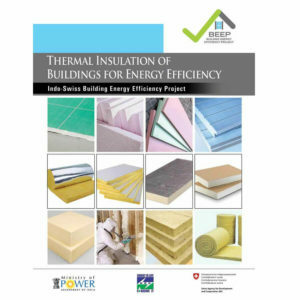 In a similar manner, insulating materials for buildings can help in keeping the building cooled or heated by reducing the heat gain or heat loss to ambient. 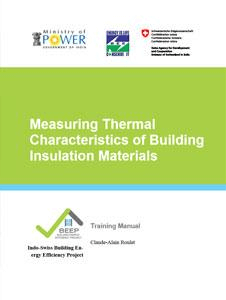 Here you have a knowledge package on insulating materials for building that includes the fundamentals of insulation, information on all types of insulating materials for buildings, their application in buildings, energy saving potential, and case studies. The setting up of new districts and neighbourhoods has led to a demand for centralized district cooling systems. However, designing such systems keeping energy efficiency as the prime objective is a difficult task. The presentation helps in addressing these issues. The deep soil temperature of the earth remains almost the same as the average annual air temperature. By laying an underground pipe and passing the air through it, you can cool or heat the space. Sounds interesting? Here, you have a comprehensive knowledge package on EAT, which includes the basic principles, design basics, numerical tools with user manual, case studies, and the design exercise. Human beings normally feel the average temperature of the surrounding surfaces such as wall, roof, floor, and air. Not just the air temperature as perceived. Radiant cooling system works on the principle of cooling the surrounding surface to do the space cooling. These systems can easily save 20%–40% energy as compared to a conventional cooling system. Want to know more about it? Here, you have a training module on radiant cooling systems that covers the basic principles of heat exchange, radiant cooling system types, working principle, its application, sizing calculations, moisture handling, integration with overall HVA system, design and performance evaluation, a tutorial on modelling these systems in ‘DesignBuilder’, and a few case studies. Energy simulation tools are useful for designing and calculating the performance of various design and system alternatives. They help in quantifying the performance parameters ‘and thereby in decision making. However, the selection of an appropriate energy simulation tool and its use in the best possible way always remain a challenge. The package here gives you a list of energy simulation tools, their capabilities and suitability, guidelines for quality assurance, and guidelines to simulate selected technology sets along with examples.